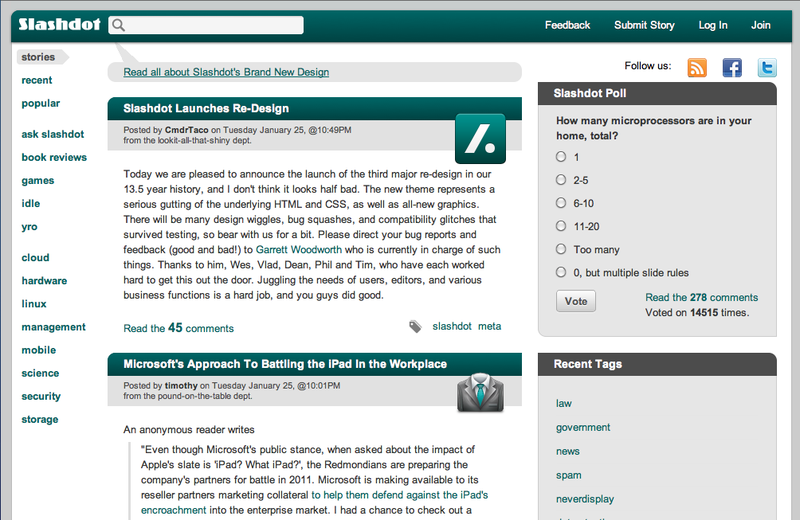 Slashdot.org: News for Nerds, Stuff that Matters just launched their redesigned look. It has clean lines, grey border, white text areas, and floating widget areas in the white text focal area. I like it. See it for yourself here: Slashdot.